(204 reviews) Write a review! 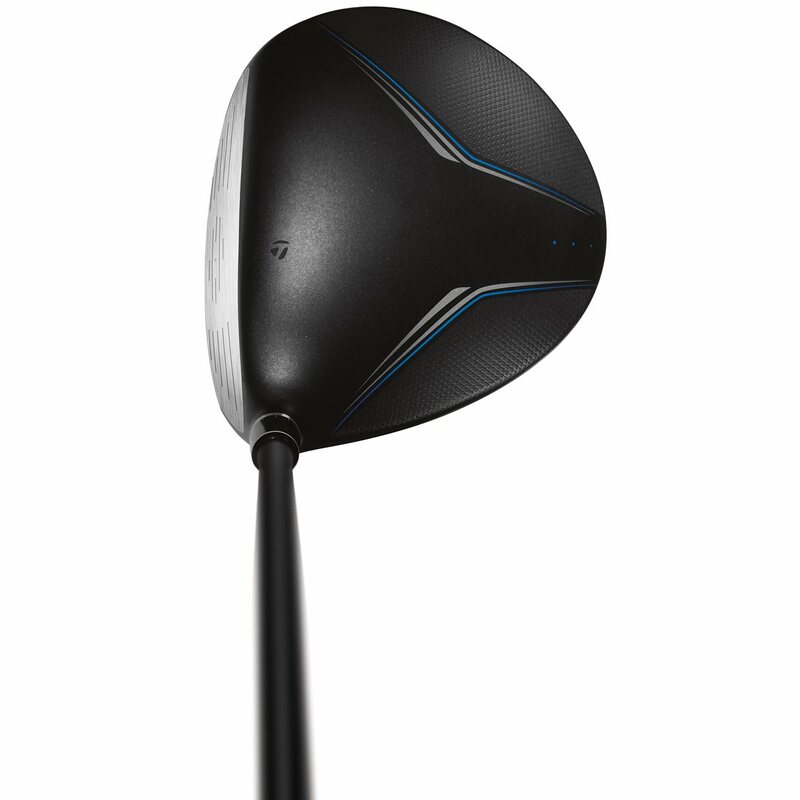 The TaylorMade JetSpeed has a shallow profile, matte black crown head design and is the first driver to feature the Speed Pocket technology which promotes more distance on hits low on the clubface. The strategically placed ultra-low and forward CG position in the JetSpeed head promotes a faster ball speed and low spin for extraordinary distance across a larger area of the clubface. 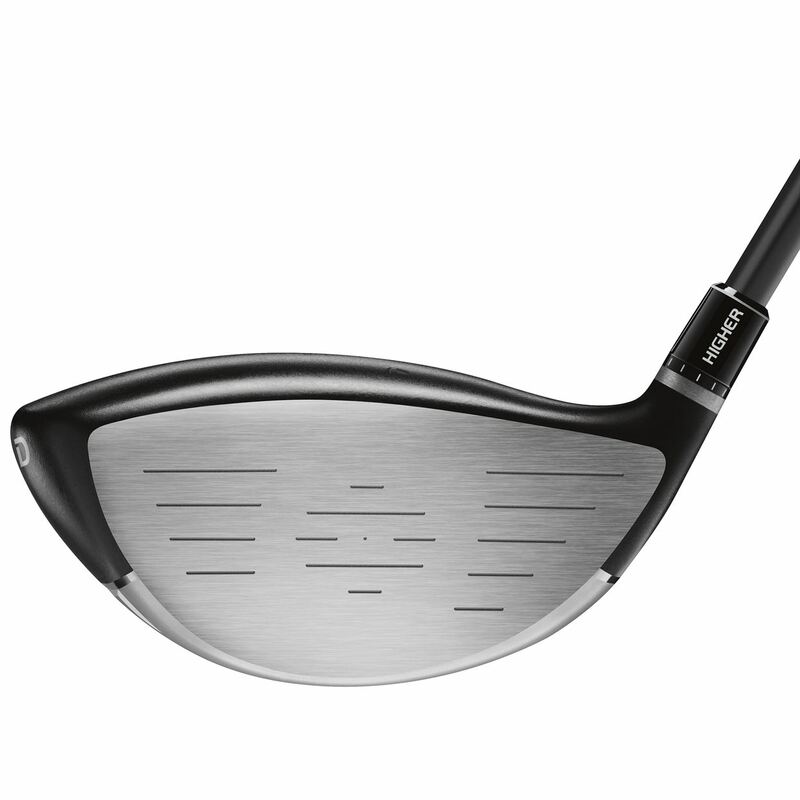 This driver also features a 12-position loft-sleeve to add or subtract 1.5° to each of the available standard lofts and the contrasting silver face allows for stress-free clubface alignment. 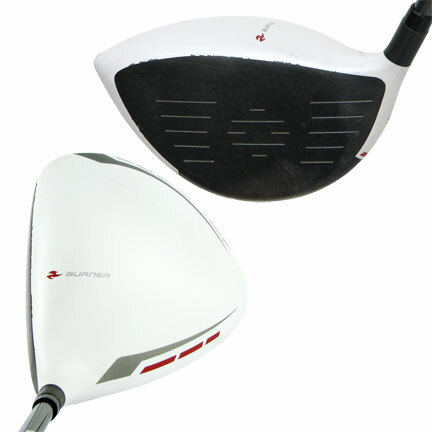 The easy adjusting JetSpeed driver can be tuned to fit any type of player and it has a streamlined 460cc head shape that delivers optimal aerodynamics for faster swing speeds. 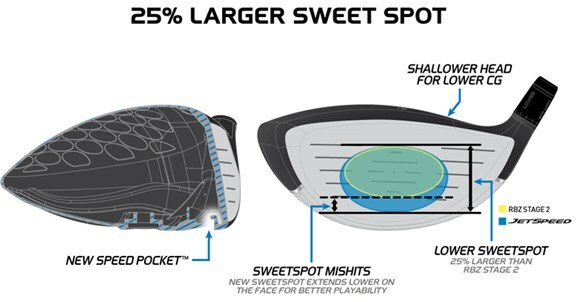 For the first time TaylorMade has engineered a Speed Pocket design for a driver which promotes more distance on hits low on the face. Matte black crown reduces glare and a contrasting silver face makes alignment easy. Speed Pocket technology provides a low-and-forward CG which promotes faster ball speed and lower spin-rate for more distance. Displaying 3 out of 3 Questions. What tool is not included and what does it do? The torque wrench that allows adjustment of the loft at the hosel is the tool that is not included. It is available for purchase with the club. What adjustments are available on this driver? 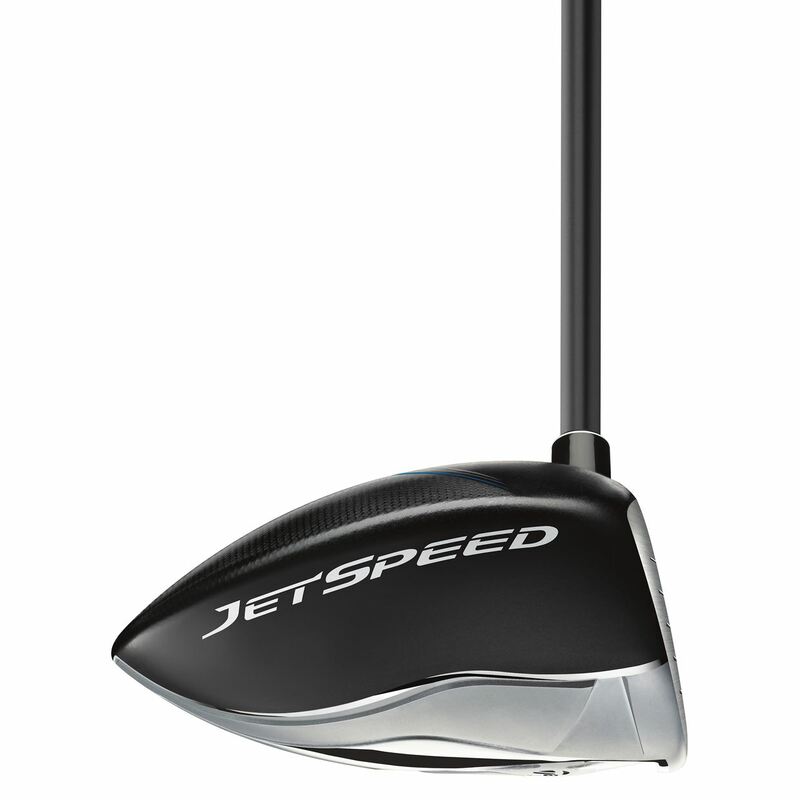 The JetSpeed driver has loft adjustability through the loft sleeve hosel. It is adjustable +/- 1.5 degrees either direction from the standard loft selected in 1/2 degree increments. Thus a 9.5 degree head can adjust to 8, 8.5, 9, 9.5, 10, 10.5, and 11. Does this drive use TaylorMade FCT system or Loft Sleeve for the shaft connection? Thanks. JetSpeed uses the Loft sleeve adapter. 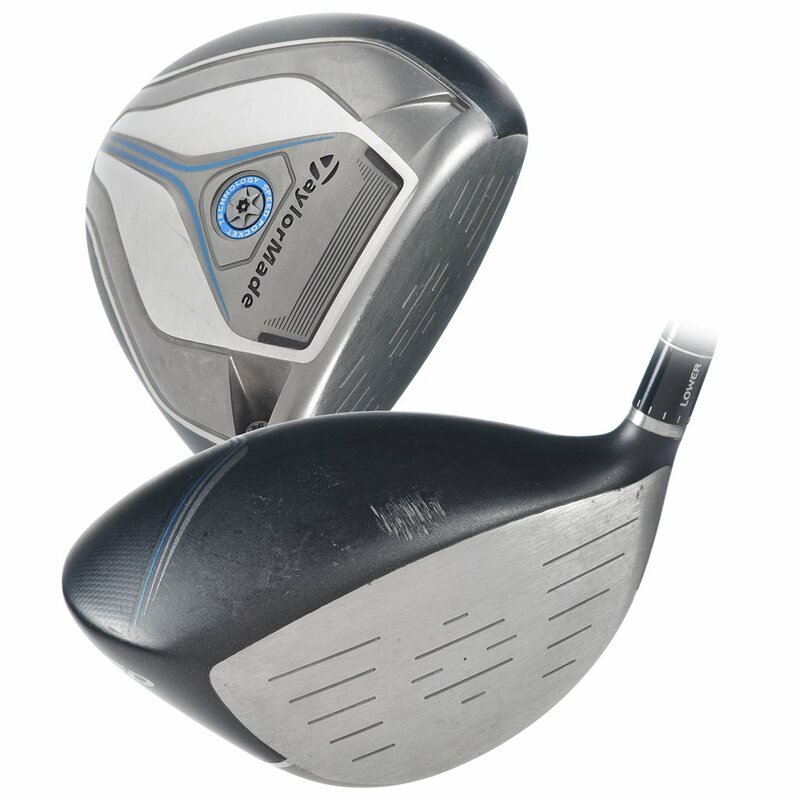 Having never used the JetSpeed, I didn't want to spend a lot of money on a driver I may hate. As a beginner golfer, this driver was the right purchase for me - lightweight and senior flex shaft is letting me hit the ball longer and straighter than other more expensive drivers I own. The condition is quite used - cosmetically, but this doesn't affect play at all. This is a great driver and well worth the low price I paid for it. I got the value condition of this club and there was an issue with the shaft. It was starting to come apart and had a piece of tape around it like a q reader sticker so it wasnt easy to notice at first. all other value products i have purchased have been fantastic so im thinking i may have just gotten a bad draw. however the performance is not hindered and the club hits fine just a little disappointed. 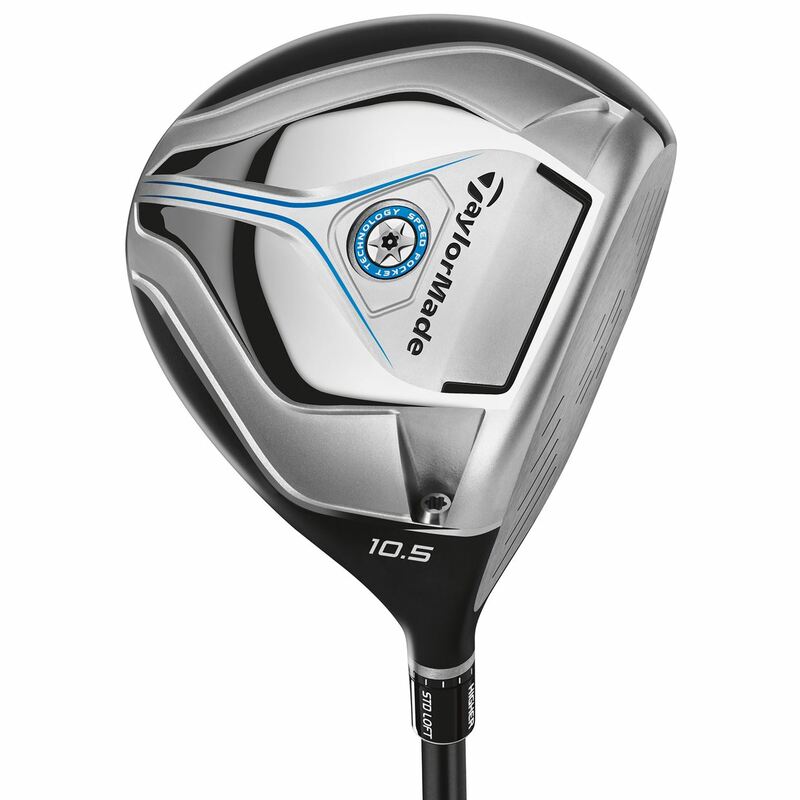 I tried the SLDR and could do nothing but hook it, so I then tried the Jetspeed driver when it first came out and still loving it. Very easy to hit and the distance is better than previous drivers. I'm hitting more fairways than in the past. If you are looking a driver that has the distance and is easy to hit, you gotta give this one a try. It's AWESOME!!! This club sits pretty square to closed at address. I like the graphics on the crown, reminds me of the old '07 burner. The feel is traditional TaylorMaade and I seemed to gain a few yards. Great price and I am happy. Always a satisfactory experience when purchasing through. Tried this club at ****'s, with the Pro. Hit it consistently showed 240/260 with 96 club speed. Better than my Taylor Made Burner 2.0 white crown. Hit a R49 Shaft and it proved better than a S65. Try this club you'll LOVE it!